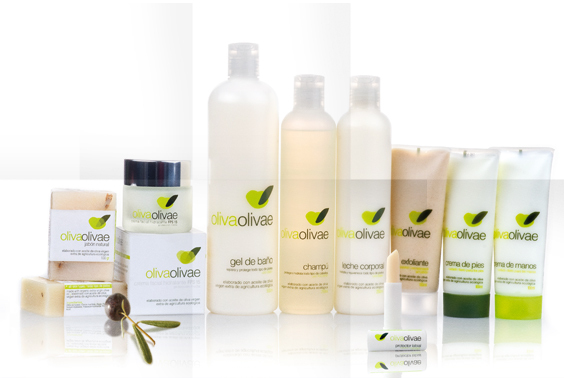 OlivaOlivae, our complete range of natural care products made with organic extra virgin olive oil that gives your skin all the moisturising that it needs to be smooth, soft, and bright. OlivaOlivae products include natural active ingredients such as Musk Rose, Aloe Vera, oats or Shea Butter. The combination of these elements with olive oil means that OlivaOlivae products care for and protect skin and hair, giving them back their moistness, elasticity and smoothness. All our products are made with organic virgin olive oil from the El Lagar del Soto Clásico range. OlivaOlivae Face Cream SPF 15 50ml. OlivaOlivae ECO Lip Balm 4ml. OlivaOlivae Crema Exfoliant Cream 100ml. Do you want to give that special present? For thousands of years the cosmetic properties of olive oil have captivated all the peoples that have lived on both shores of the Mediterranean. The Egyptians were the first to appreciate its benefits in moisturising and protecting both skin and hair, and the Romans and Greeks subsequently discovered its invigorating and healing properties, using it as a lotion for athletes and wrestlers. Today olive oil is a very widely used and highly valued natural ingredient in cosmetics. Vitamina E which is present in olive oil, has great antioxidant and regenerative powers which prevent the aging of tissues, protecting them from the effects of free radicals. . Extra virgin olive oil is rich in fatty acids that maintain natural levels of moistness in the skin, keeping it perfectly hydrated. It has great firming power thanks to the oleic acid that helps to reconstruct and regenerate cell membranes in the skin. Olive oil also protects and invigorates the skin, helping it to look smooth and radiant. OlivaOlivae is made with El Lagar de Soto organic olive oil.El Lagar del Soto Clásico. Our evolution partly depends on our commitment to knowledge and to the development of our sector and our products. Cosmetics made with organic El Lagar del Soto Clásico Ecológico evoo that is special because of its limited area of cultivation.